Can accounts be excluded from debt review? I am wondering about a few things regarding debt review. I have heard of many people making use of the debt review process, but thought I’ll find out for myself. 1. Can I exclude some of the accounts from the debt review? 2. What happens after the debt review, will one be able to apply for finance or is this process listed against your name for the rest of your life? 3. What is the cost involved with the debt review process? 1. The National Credit Act states that all debt must be included in the debt review. No credit provider may enjoy preferential treatment, and all accounts need to be handled objectively. 2. The debt review process has been designed specifically to rehabilitate consumers into the credit market. Many consumers have debt that spun out of control and without a mechanism such as debt review they will end up losing their homes and other assets and never be able to get responsible credit again. After all debt has been settled through the debt review a clearance certificate is issued by the debt counsellor. This certificate is also sent to all credit bureaux which must then, according to the National Credit Act, remove all records pertaining to the debt review. In accordance with new legislation that we are waiting for all adverse listings and negative information must be removed from your credit record once the debt has been settled. Even judgement listings. 3. The debt review process is regulated by the National Credit Regulator. They have prescribed a fee structure as to ensure that debt counsellors do not charge exorbitant fees. There are 3 aspects to the fee structure. A debt counselling fee is charged by the debt counsellor in month 1 of the debt review. This fee is equal to the first month’s instalment with a max of R6000. A Legal Fee is then charged in the second month… in many cases R750 but depending on the attorneys who handle the case. From month 3 onward there is a 5% monthly aftercare to ensure that you get ongoing support by your debt counsellor should any creditor try anything. What makes the process nice is the fact that your fees is worked into your monthly repayments and that you do not have to fork out extra cash for the service. 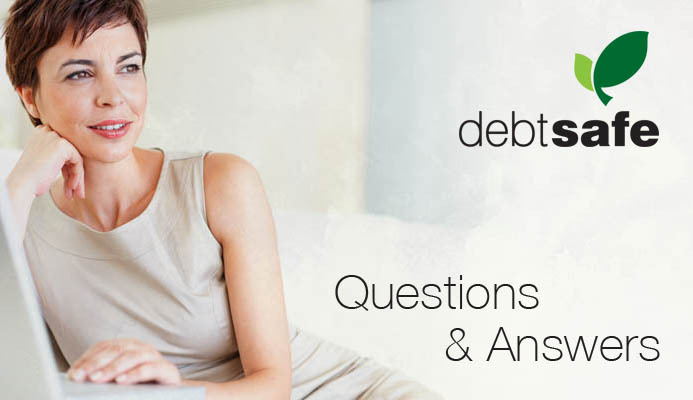 Debtsafe will also give you a free consultation to determine if debt review is for you. previous post: The “Cure” for Over-indebted South Africans. next post: Can the bank repossess vehicles without a court order?